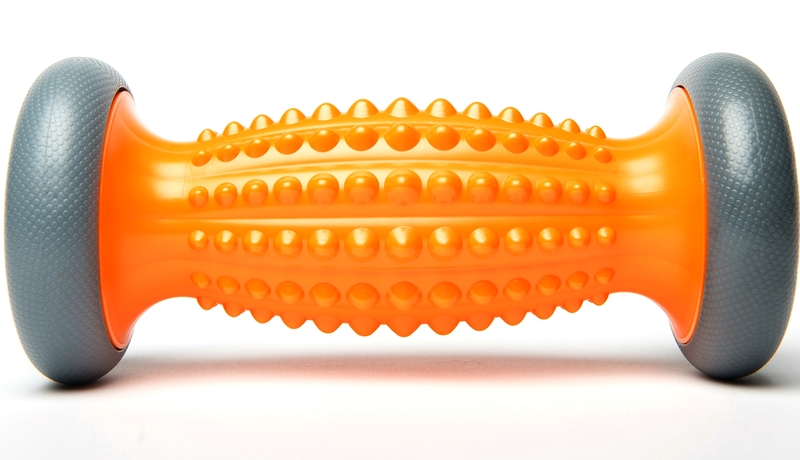 The Natural Chemistree Foot Massage Roller is the prefect device to help relieve your foot pains. Weather you have been standing all day or running around all day the small nubs help to massage and invigorate your feet. Suffers of plantar fasciitis can finally receive some respite from the pain associated with this condition. 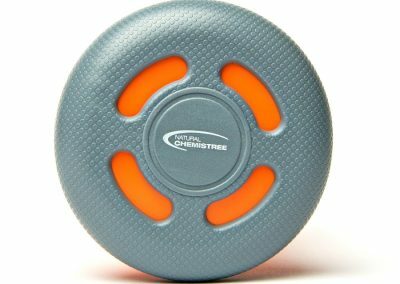 Users of The Natural Chemistree Foot Massager have reported significant relief from plantar fasciitis heel pain allowing them the freedom to continue with their day. 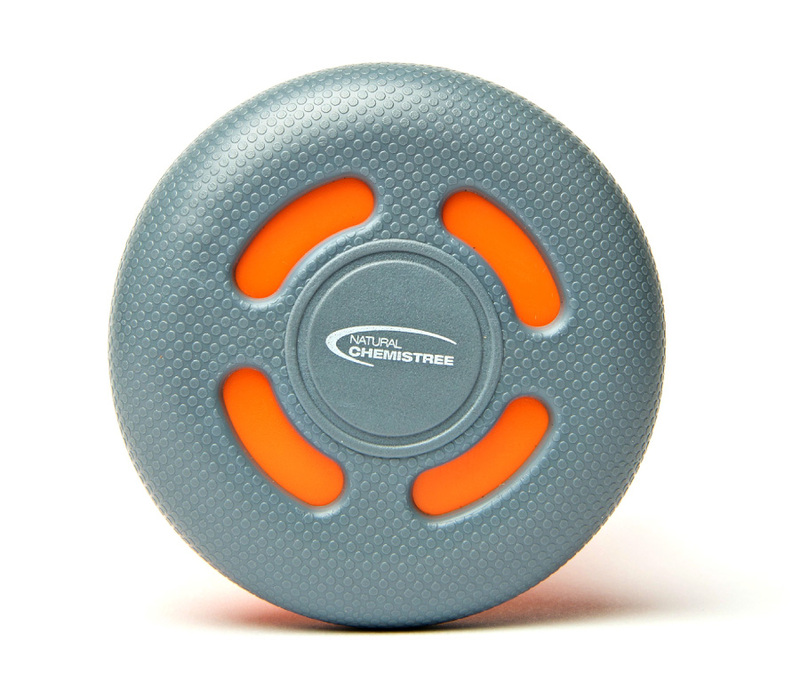 Use the foot massager anywhere you are such as the gym, at the office, at home or on holiday. The device is small lightweight and does not require batteries to operate so you total control of where to use it. 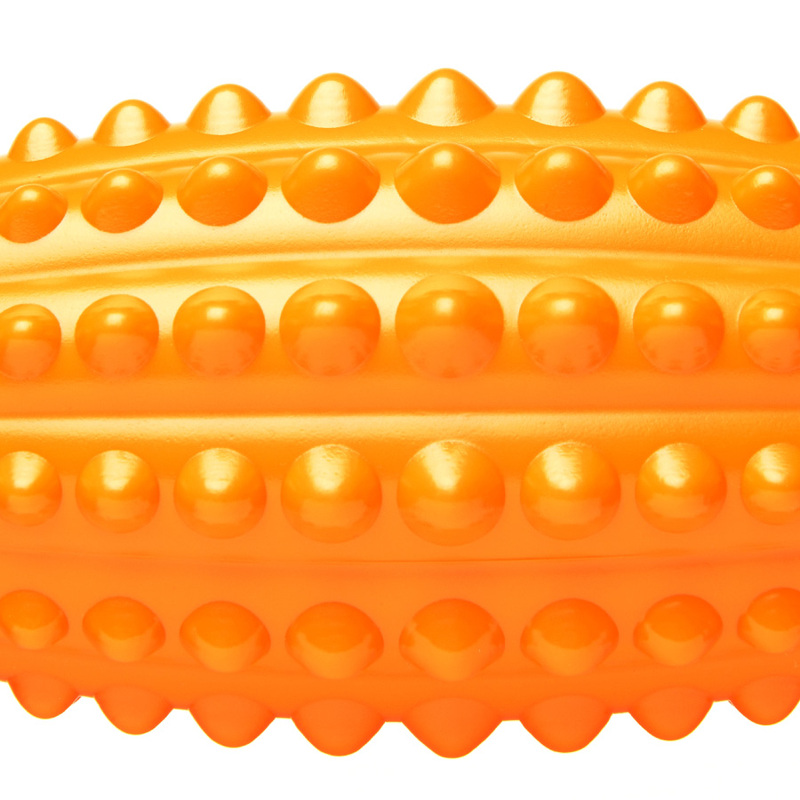 When purchased from Amazon, our Foot Massager Roller includes a free downloadable e-book. This illustrated guide aids you in soothing tired feet, recovering from injury and relieving stress. I bought this for hubby because he got plantar fasciitis after her fractured his ankle. 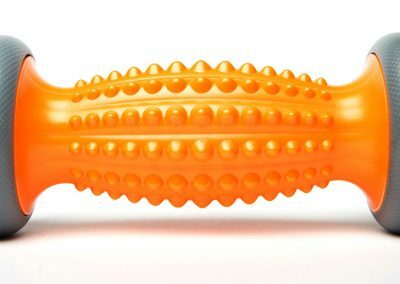 His physical therapist suggested he get something like this roller. He has been using it daily and has noticed vast improvement with his plantar fasciitis. He says it hurts when he uses it, es expected. This is a sturdy item that he will hopefully not have to use for much longer…but then we plan on giving it to our puppy who has been eye-ing it since we got it. Good, sturdy product. It rolls well and massages feet well in socks. Purchased to use on airplane. It was slightly bulky to pack in a backpack, but I did use it on all flights. One foot fits on the roller at a time. Would be useful to use for an officer worker sitting at a desk as well. A helpful device to increase foot circulation. It does not roll away as easily as my tennis ball does, which is a plus. But as yet I prefer tennis ball for deeper standing massage. I would purchase this device again. I have recently been having awful foot pain. It started out of the blue and a nurse friend told me to roll my foot on a frozen bottle of water. The cold ice made the pain worse so when I saw this product I decided to give it a try. 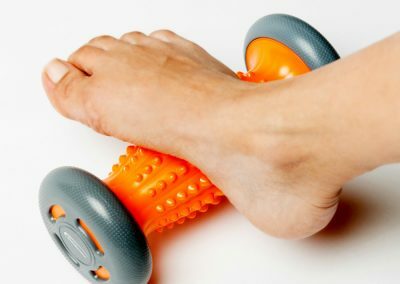 The foot roller is very simple to use. I did find that using it on carpet provided more resistance than using it on my wood floors. 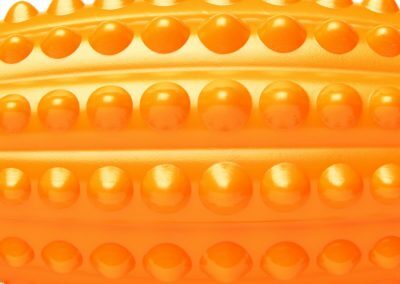 But either way, the roller was as gentle or firm as I desired it to be simply by adding of decreasing pressure. The short dull spikes on the roller give a tingling sensation and massage the bottom of my foot with ease. After using this roller a few days, my foot pain has completely subsided. I continued use just in case! So glad to have this item on hand! I received this foot roller free in exchange for an honest review.